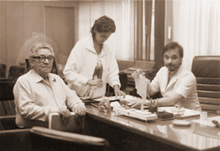 Newpower started its activities in 1961, through the entrepreneurial vision of a man that was always ahead of his time. 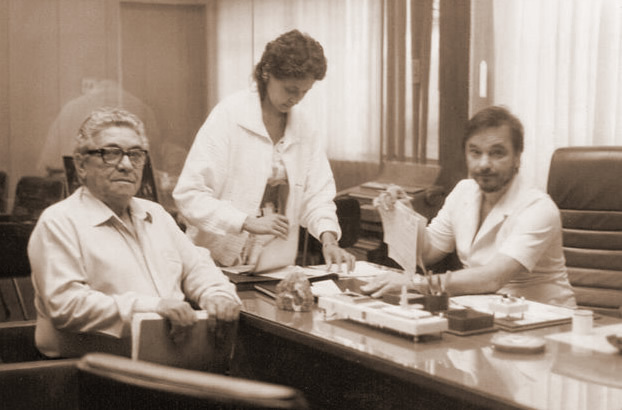 José Vac had the dream of founding a Brazilian company for the production of automotive batteries. 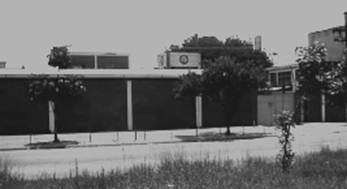 With hard work and competence, he built the first Newpower's headquarter on Santos Dumont Avenue in Guarulhos, where until today is the companies' headquarter. Producing batteries for cars and trucks, soon Fulguris gained national notoriety. 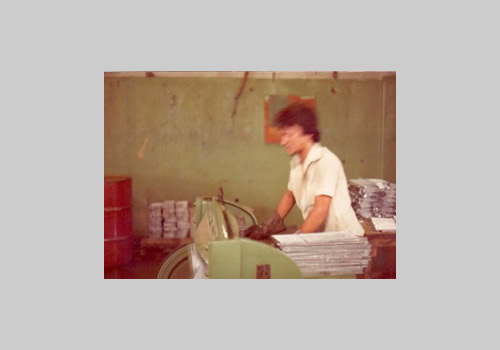 In the 70's, as the automotive market grew and became more competitive, Marco Antonio Vac showed to have the same entrepreneurial characteristic of his father José Vac. Taking advantage of the highlights in terms of quality that Fulguris batteries presented to the market, and observing in the segment of industrial batteries a new opportunity of growth, Marco Antonio upon assuming the presidency of the company, migrated all the production of automotive batteries for the production of motive power batteries, already using the modern technology of tubular plates, a bold step, but extremely successful; in a short time Fulguris motive power batteries conquered the cargo handling market. 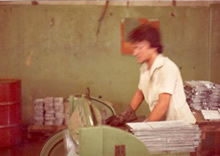 Following the progress and the advance of Brazilian economy, Marco Antonio implemented in the 80's the production of stationary batteries, aiming the booming market of telecommunication, again the quality of Fulguris batteries boosted the growth of the company, and soon Newpower increased its participation in the market, consolidating a reference name in the energy sector. In the 90's, the brand Fulguris kept its evolution through its innovation capacity. Closely following the new tendencies, the company incorporated new technologies to its product portfolio. 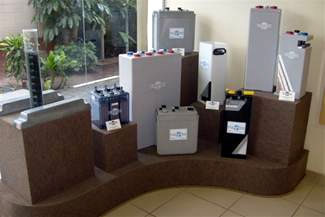 Among the new products, stands out the stationary VRLA batteries project. Yet in the 90's, the quality of Fulguris batteries, so recognized by Brazilian's costomers, was formalized by obtainment of the ISO 9001 certification. At the beginning of the new millennium, Newpower continued its journey of success and growth, and in 2003 was the time for a new generation of Vac's family take on the business. Marco Antonio Vac Junior, grandson of Mr. José Vac, considered a charismatic and respected leader in the batteries sector, was responsible for implementing a new structure to Newpower. Atending the new market requirements, Newpower was elevated to a new professional standard, but despite its grandiosity, the familiar environment among the employees team, considered a differential since the foundation of the company, was kept. 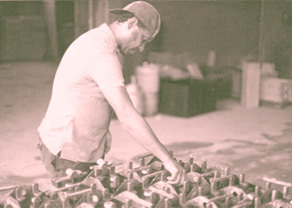 Marco Antonio Vac Junior inherited of his predecessors the same entrepreneurial vision, and with this characteristic founded the unit responsible for recyclying used batteries; and its lead and plastic recover, the main raw materials applicable on batteries fabrication. This initiative became a mark of sustainability and environmental responsibility of Newpower, and created one more recognized and respected differential by the market. 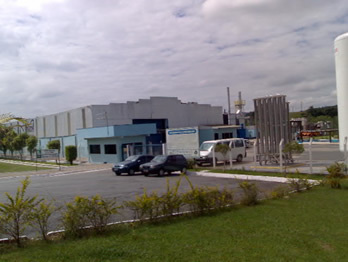 In 2004 Newpower acquired a new unit in Guarulhos, with more than 20.000m². 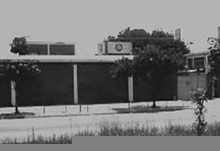 In 2008 expanded its unit 2, increasing the production and adding to its portfolio of products the stationary monoblocks, an increasing new tendency in the telecomm batteries segment. 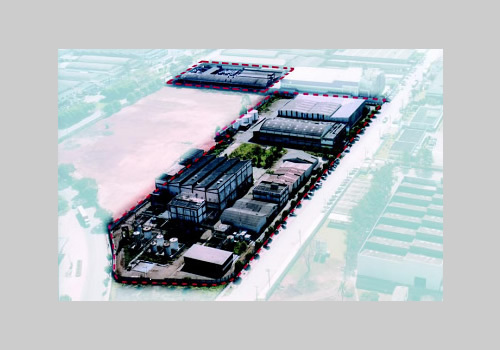 Finally, in 2011, the company expanded the unit 1, rising the productive capacity and consolidating itself as one of the biggest industrial batteries productive complex of Latin America with more than 140.000m².